CHARLOTTESVILLE, VA OCTOBER 10 2011 GE Intelligent Platforms today announced at AUSA (October 10-12, Washington D.C.) the IPS5100, a complete, self-contained, ready-to-run platform that enables 360° local situational awareness and is capable of being easily integrated into a broad range of existing and new military vehicles. The rugged IPS5100 is specifically designed to have minimal impact in terms of size, weight and power (SWaP) on a vehicle, enabling it to be deployed in environments that are highly space-constrained. The IPS5100 is capable of handling the input from four to 20 cameras depending on the color depth and resolution (via video streaming over Ethernet) and delivering video to up to four operator screens in its basic form. Scalable to more than twice those numbers, the capabilities of the IPS5100 include real-time panning and stitching, slew-to-cue pointing, motion detection and archive recording. The provided software is designed to be flexible and accommodate virtually any visualization functionality required by the user, including symbology overlay of metadata. IPS5100 hardware is a rugged 5-slot 3U OpenVPX chassis and enclosure which integrates GE’s SBC324 single board computer - featuring a 2nd Generation Intel® Core™ i7 processor – for system management; the recently-announced GFG500 Gigabit Ethernet Video Processor for the ingest of multiple GbE HD+ sensors; two GRA111 Graphics Processors, each featuring the powerful NVIDIA® GT240 96-core CUDA™-enabled GPU, for display rendering; and the GE SDD910 solid state disk for up to 256GBytes of data storage. The IPS5100 measures just 8.5” x 7.0” x 8.9”, and weighs only ~20lbs. The IPS5100 has been developed and refined through many man-years of working with vehicle operators and system and platform integrators, resulting in unprecedented portability, scalability and configurability that allows it to be integrated – using existing vehicle electronics - in an effective yet unobtrusive manner with existing tactical vehicle software, hardware and human/machine interfaces. “By allowing troops to remain ‘under armor’ and therefore protected at all times, the IPS 5100 can make a significant contribution to troop safety. Without a system like this, the combatant would need to expose his head to survey the situation around him,” concluded DiLibero. Also announced at AUSA is the CRS-D5I-3VC1 COTS Rugged System, the underlying hardware of the IPS5100, extending the number of off-the-shelf, plug-and-play rugged systems available from GE. Each provides a pre-validated solution that minimizes program risk, reduces NRE (Non-Recurring Engineering) expense, shortens time-to-market and offers an advanced TRL (Technology Readiness Level). It features the same powerful, compact, lightweight, rugged hardware capability as the IPS5100, and is ideal for a broad range of ISR applications including end user-developed situational awareness, hyper-spectral analysis, radar processing, sonar processing and embedded training, and is delivered as an integrated and tested hardware-only system for customers preferring to develop their own solution. 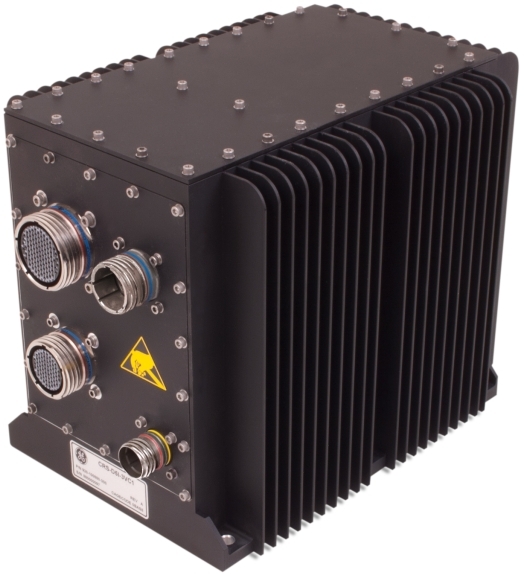 GE’s family of CRS COTS subsystems is designed for mission applications in harsh environments that require very high performance coupled with absolute reliability such as UAVs, ground vehicles, and manned aircraft.